When Indianapolis 500 pole-sitter Scott Dixon and retired three-time Indy 500 winner Dario Franchitti got robbed at a Taco Bell, everyone’s first question was “why are they at Taco Bell?” Well, it wasn’t their first choice, either. 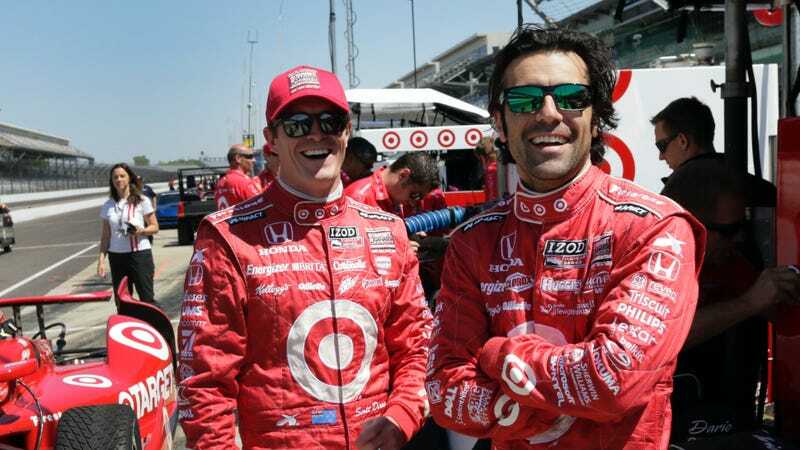 Dixon and Franchitti originally planned to go out to a nice Italian restaurant in downtown Indianapolis after Dixon had qualified on pole, but the restaurant was closed by the time he was done at the track, reports the Associated Press. The New Zealander did have some reflection about his experience at Taco Bell — the choice only because McDonalds, a Ganassi team sponsor that had a location next door was closed for renovations. So, Taco Bell it was, where Dixon ordered his usual order of a Cheesy Gordita Crunch, with more beans in place of Taco Bell’s mystery meat. “It was definitely shocking, disbelief for the most part,” said Dixon, who acknowledged the “bizarre contrast” of being robbed a few hours after the high of winning the pole for the fabled race coming up this Sunday. “It will make you feel really small again,” Dixon said. Most of all, Dixon and Franchitti considered themselves fortunate that no one was hurt in the incident. The two most valuable items in the car, Dixon’s vintage Rolex and Franchitti’s lucky vintage Daytona edition Rolex, weren’t taken, either. Dixon also told the AP that he’d still go back to Indianapolis’ most infamous Taco Bell around 10 p.m. if he needed to in the future. Hopefully next time someone thinks to call ahead to the place they’d rather go first, though. Surely somewhere a little nicer in Indianapolis would stay open late to host the Indy 500 pole sitter of all people. Maybe a Denny’s?